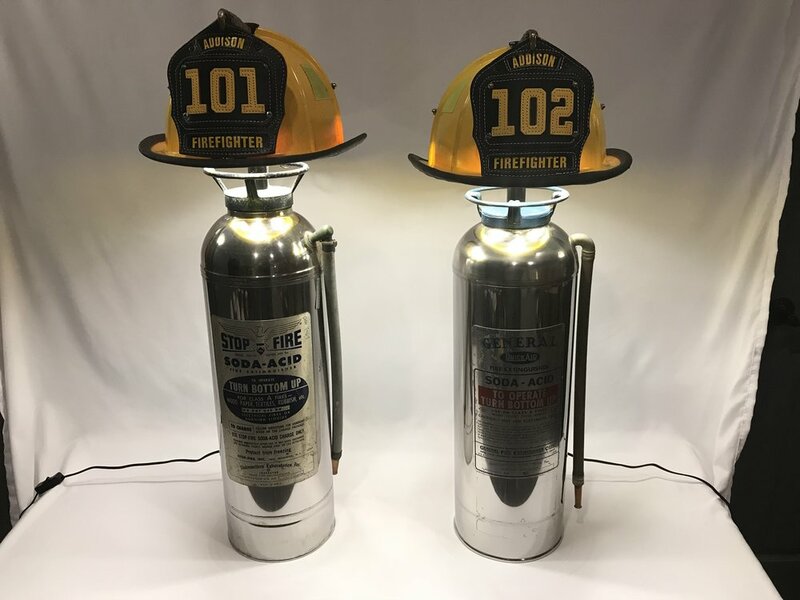 Fire Fighters across the country have helmets in their offices, garages or storage units that we can repurpose into the perfect anniversary, retirement, memorial or just because piece. 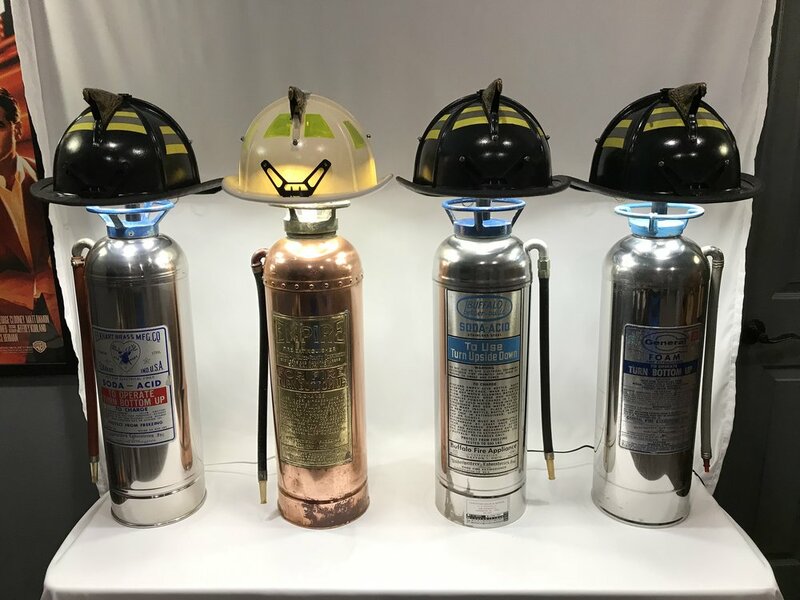 This lamps generally require the customer to provide the helmet and we can also use their old extinguishers as well. As with any of our products, we can also source the gear. Let us make your Fire Fighter Lamp today. Please call for these custom pieces.